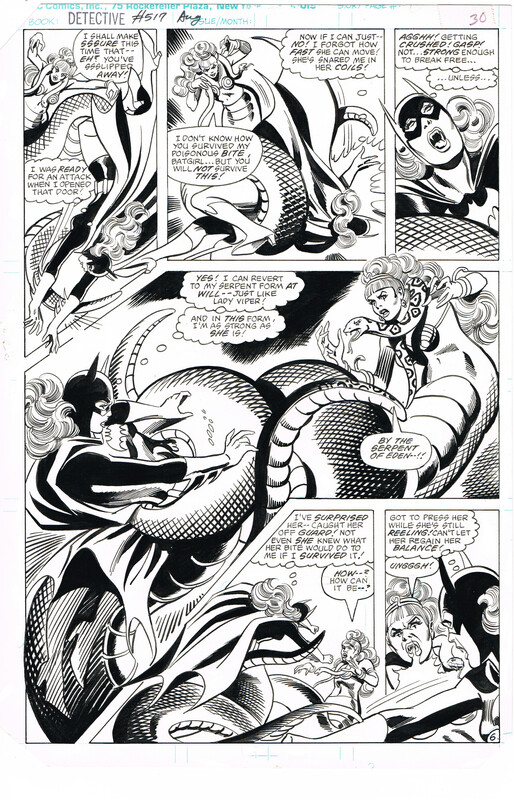 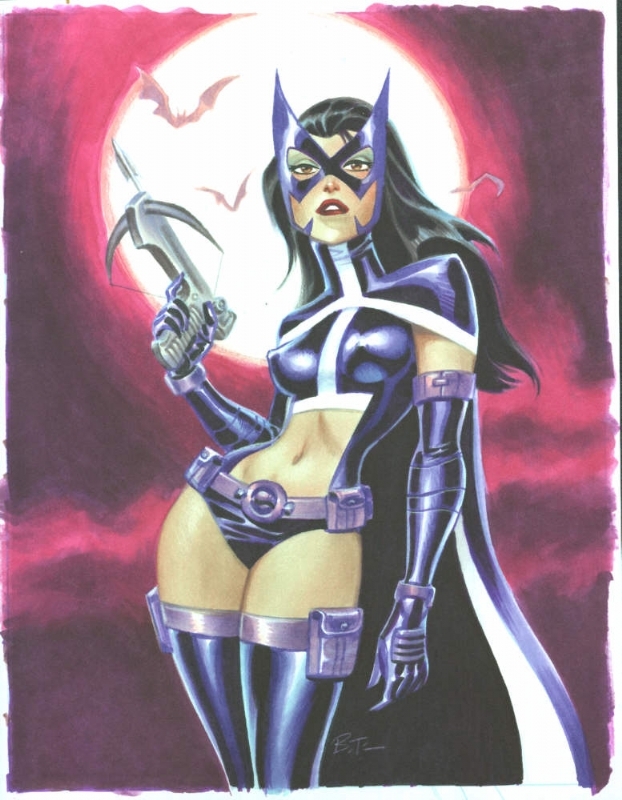 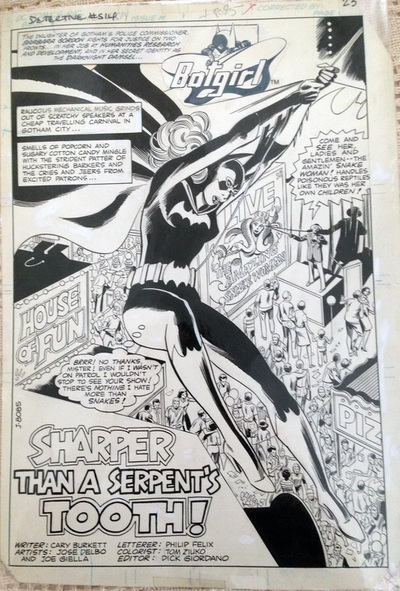 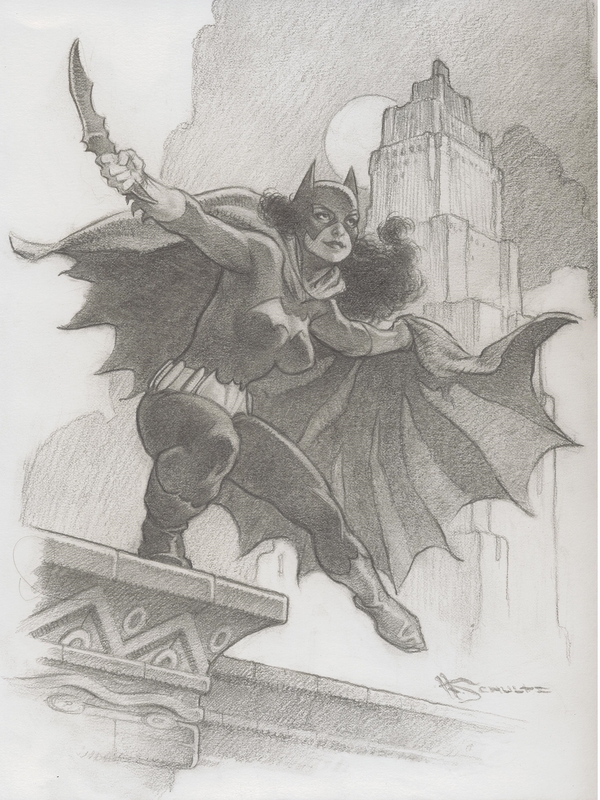 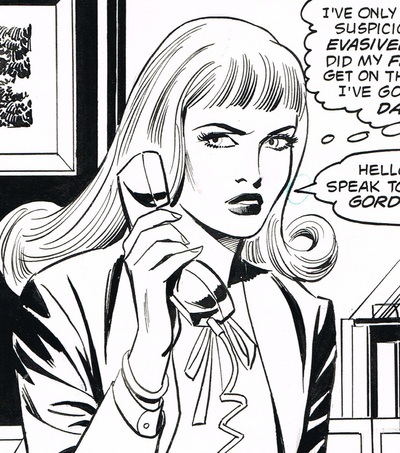 Huntress by the AMAZING Bruce Timm! 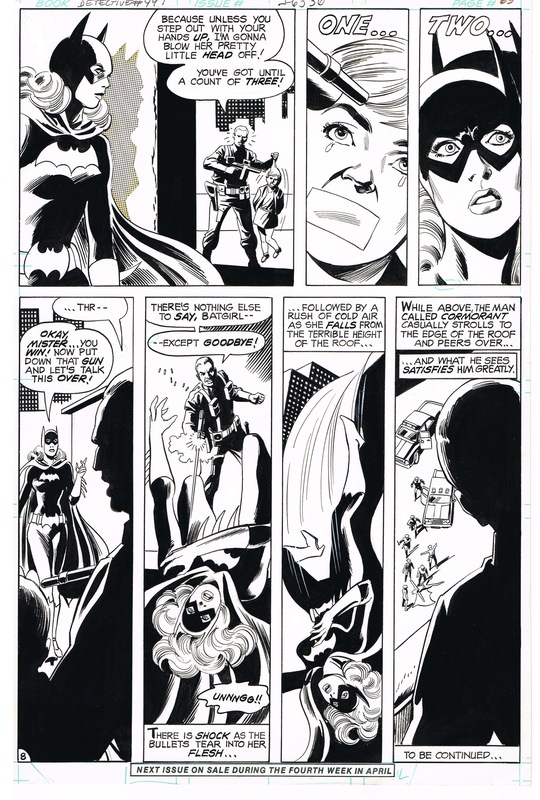 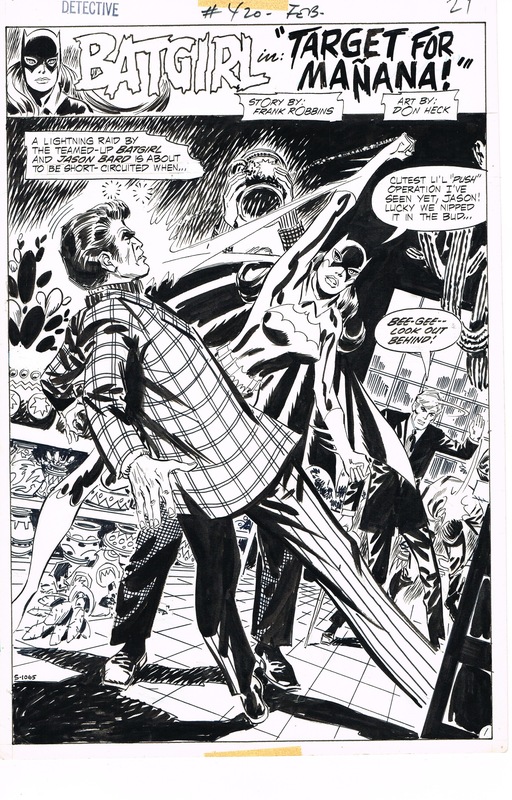 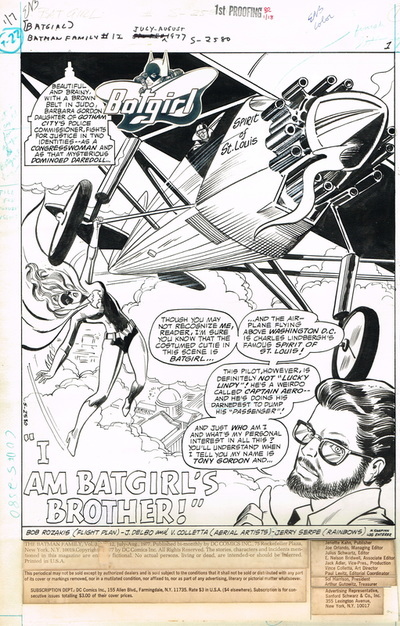 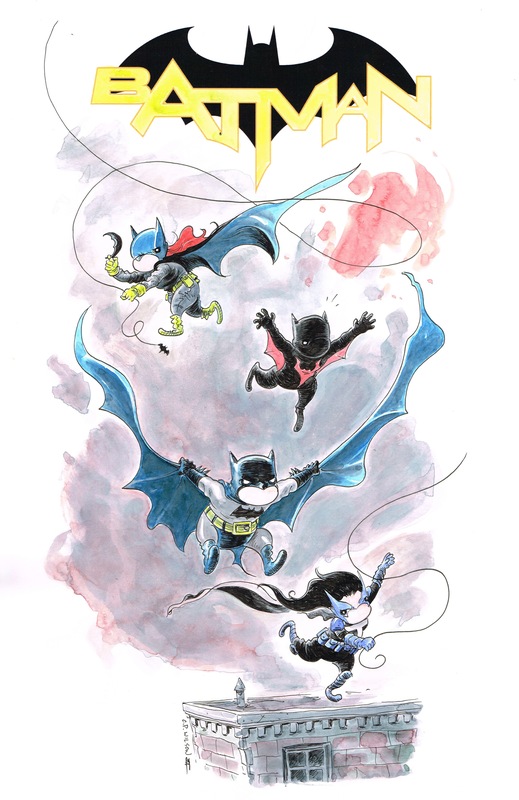 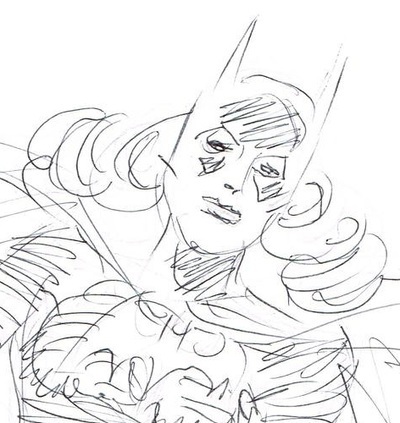 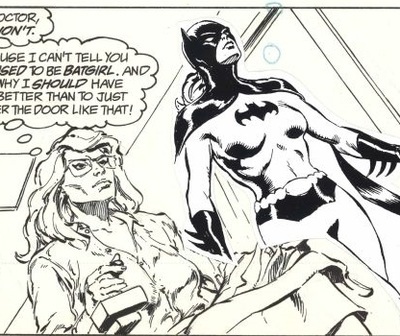 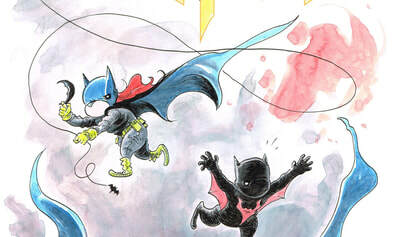 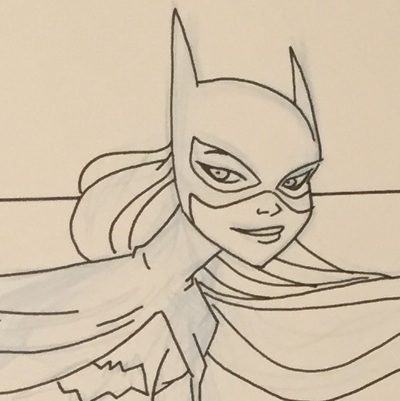 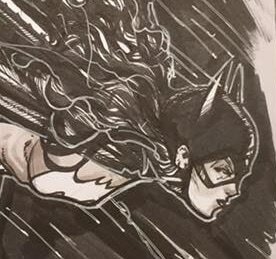 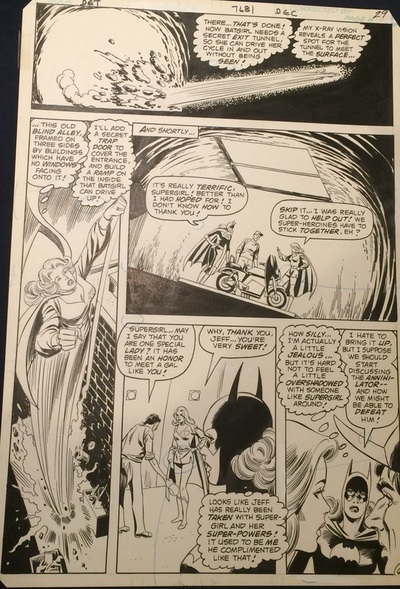 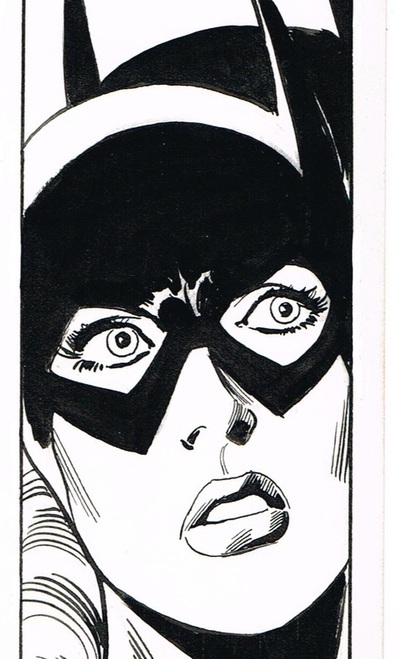 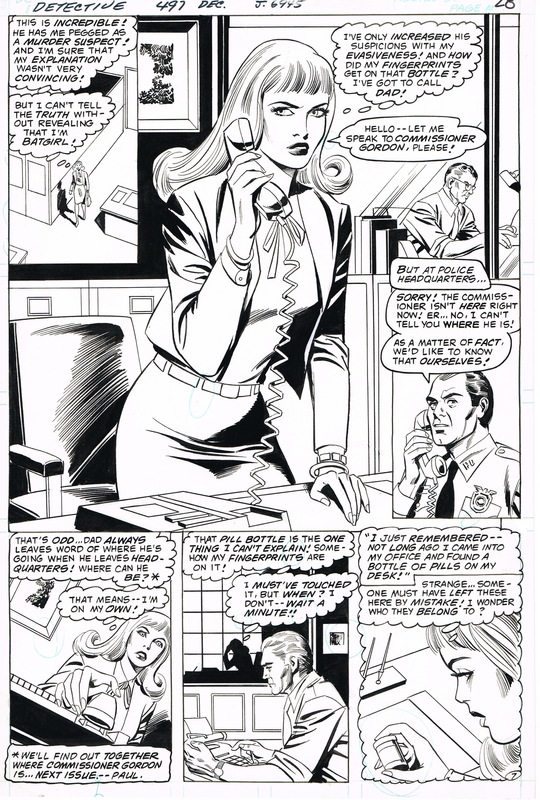 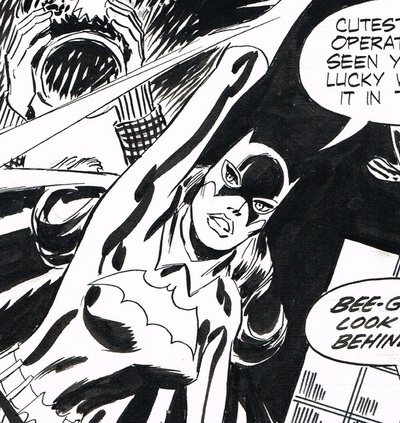 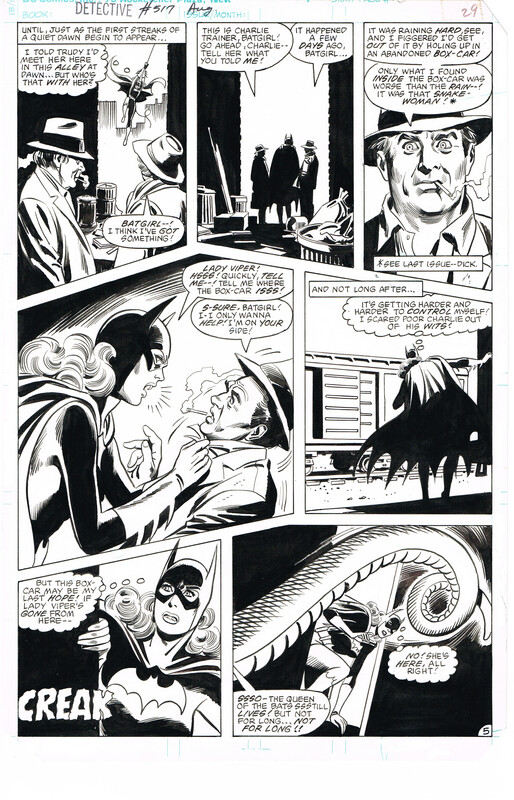 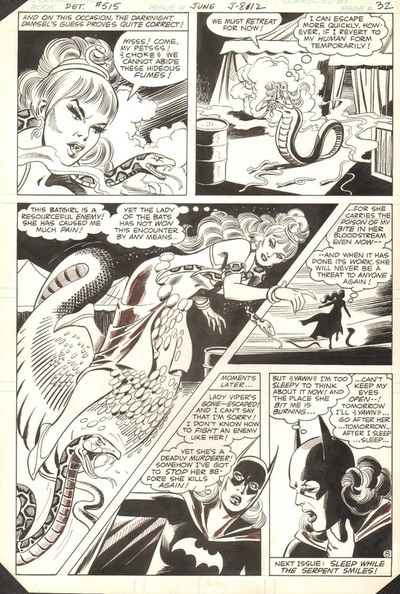 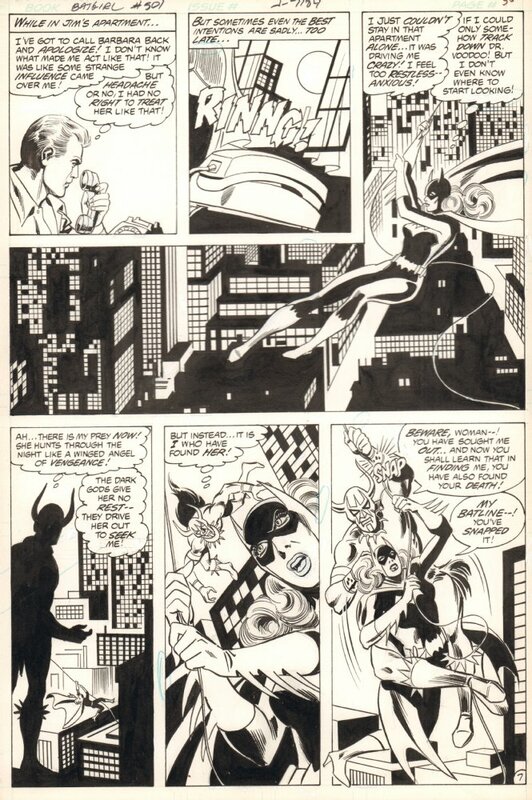 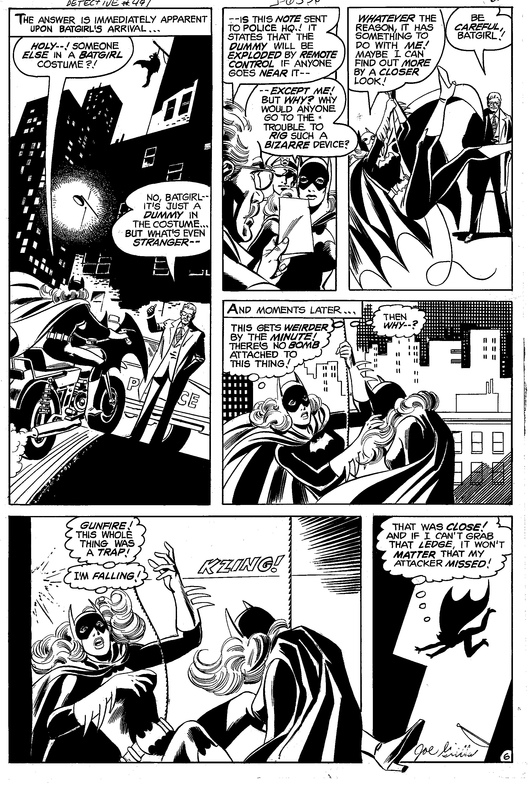 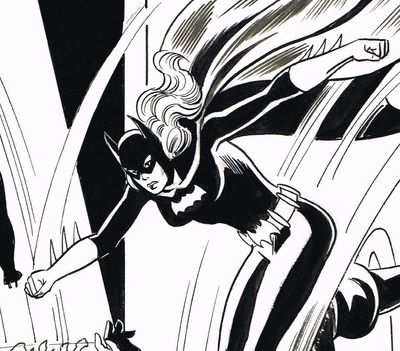 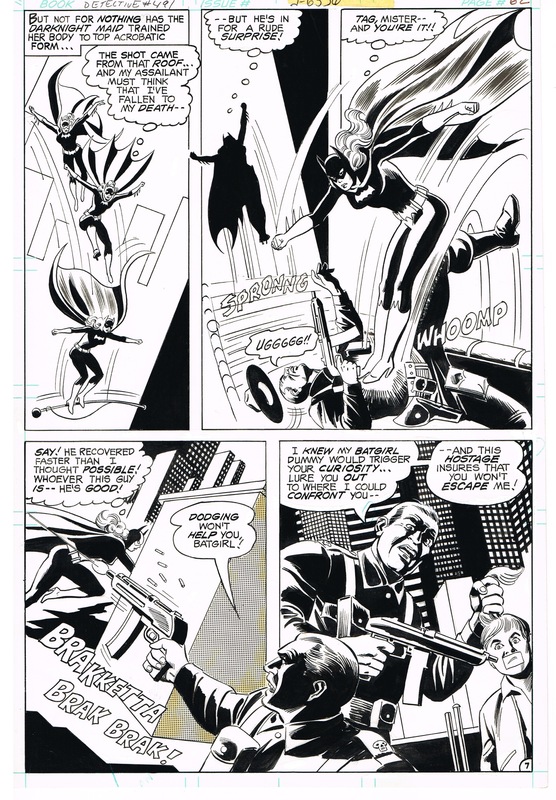 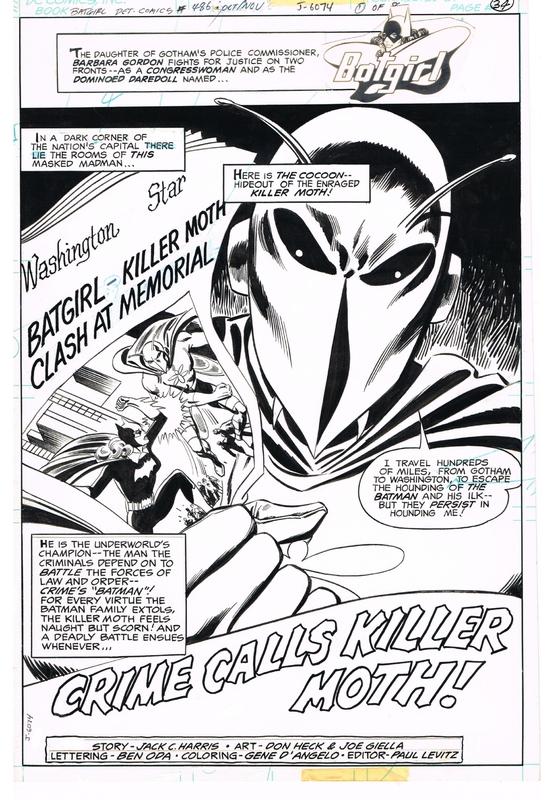 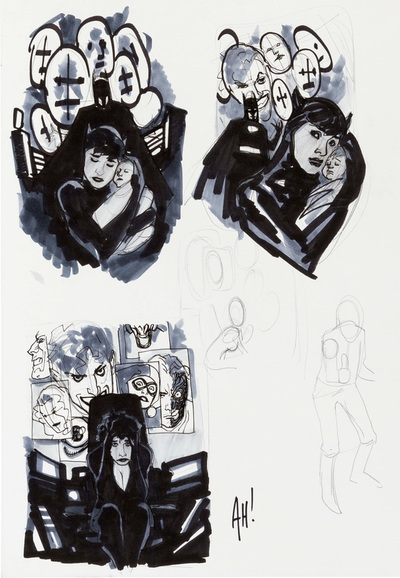 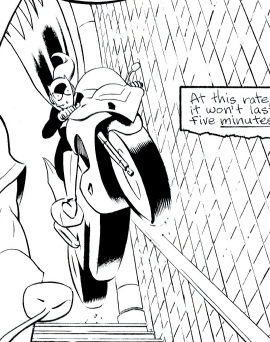 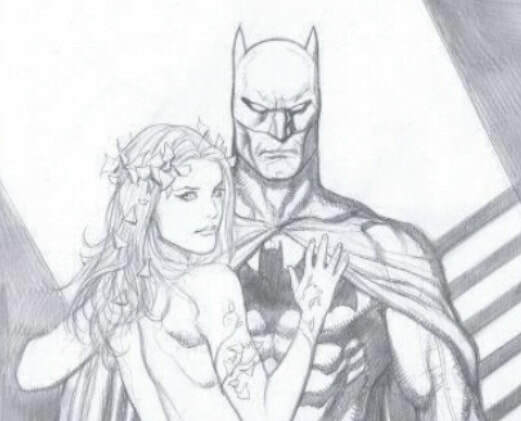 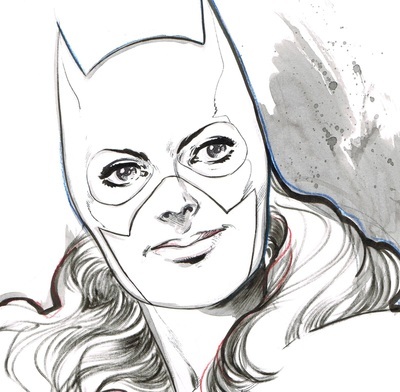 Batman Daily Strip art featuring Batgirl! 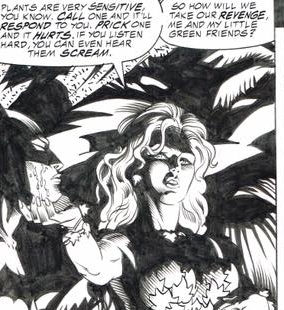 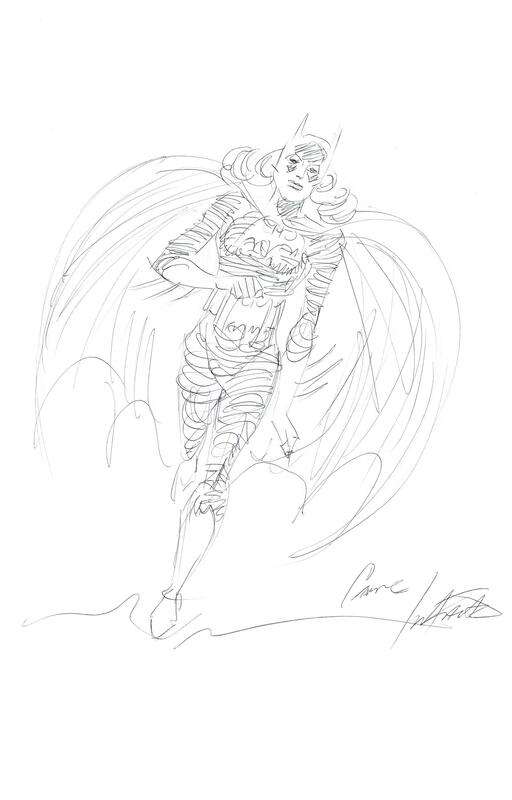 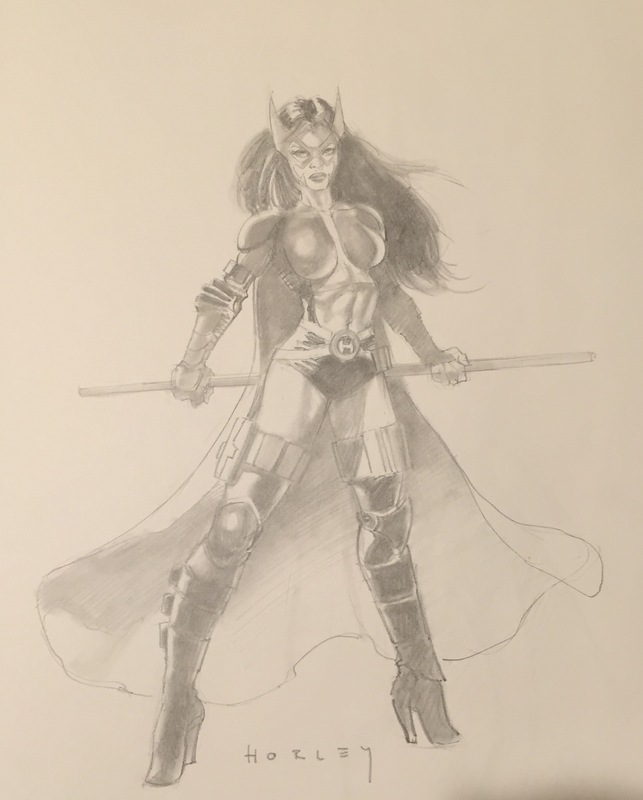 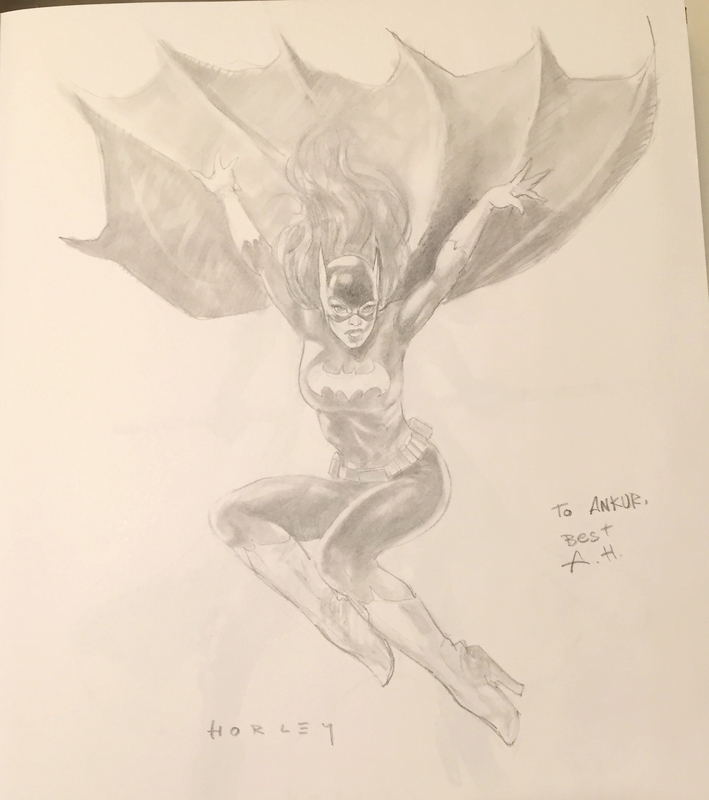 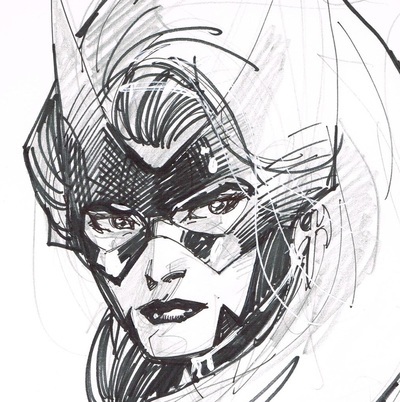 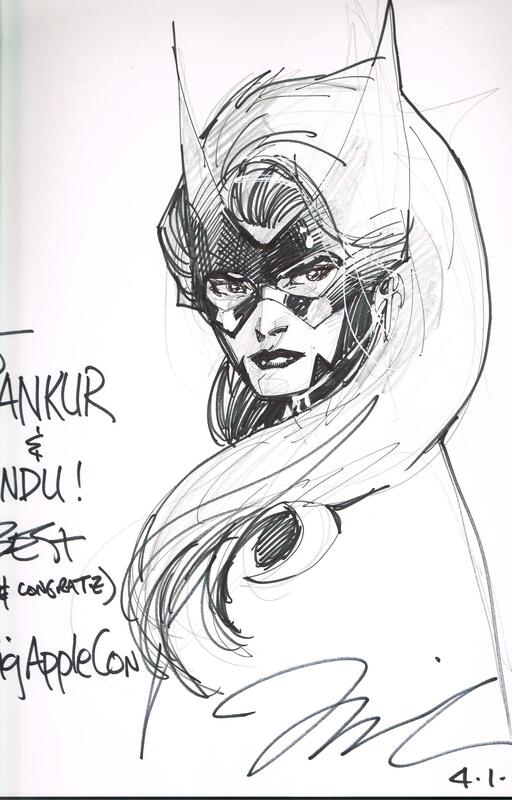 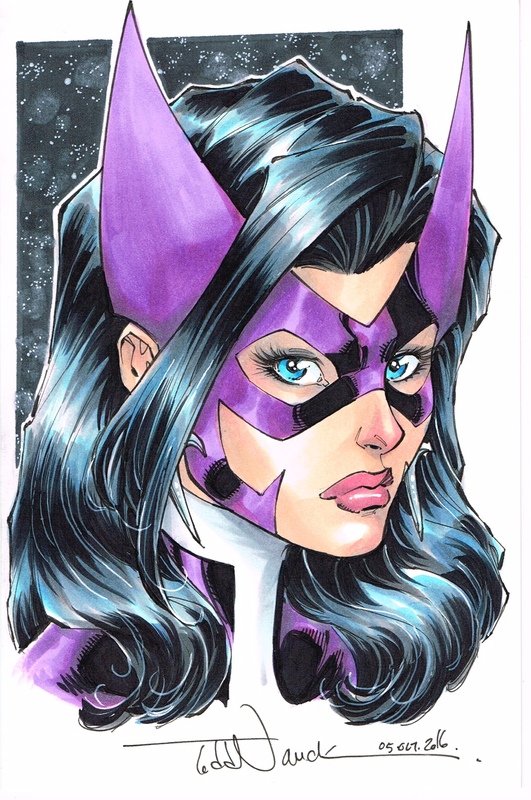 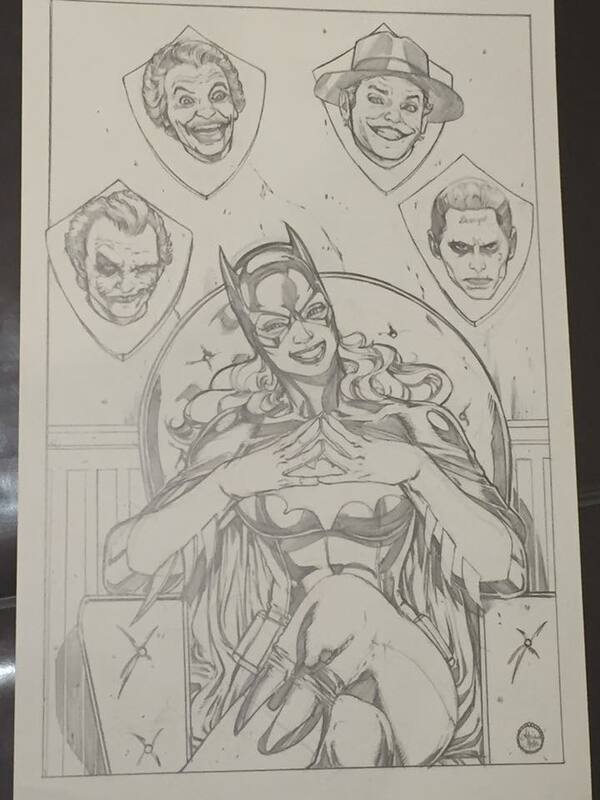 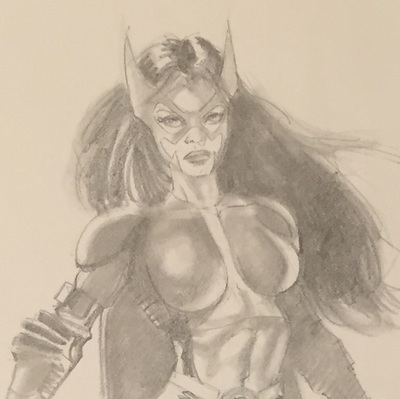 Huntress by Jim Lee. 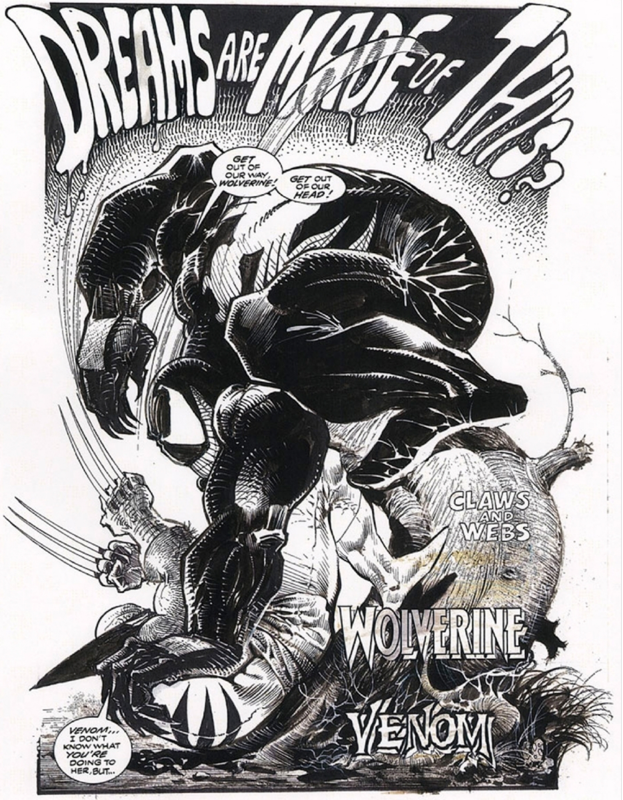 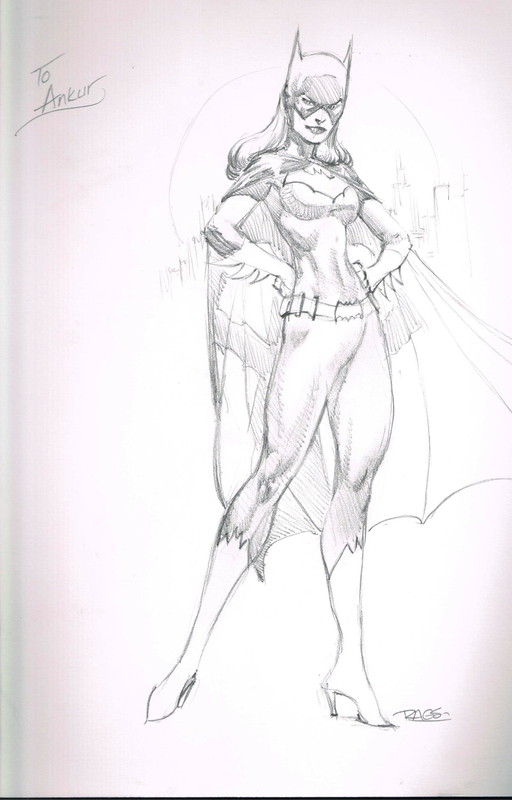 Drawn at a Big Apple Con in 2003. 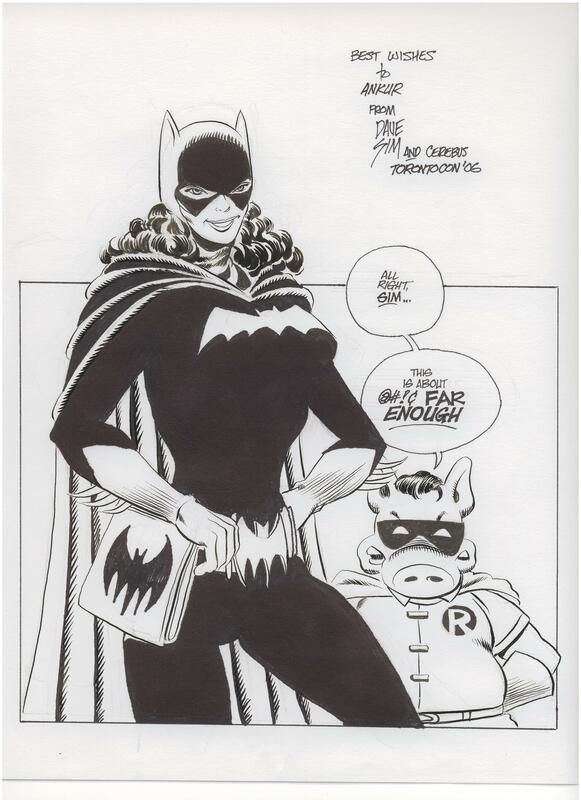 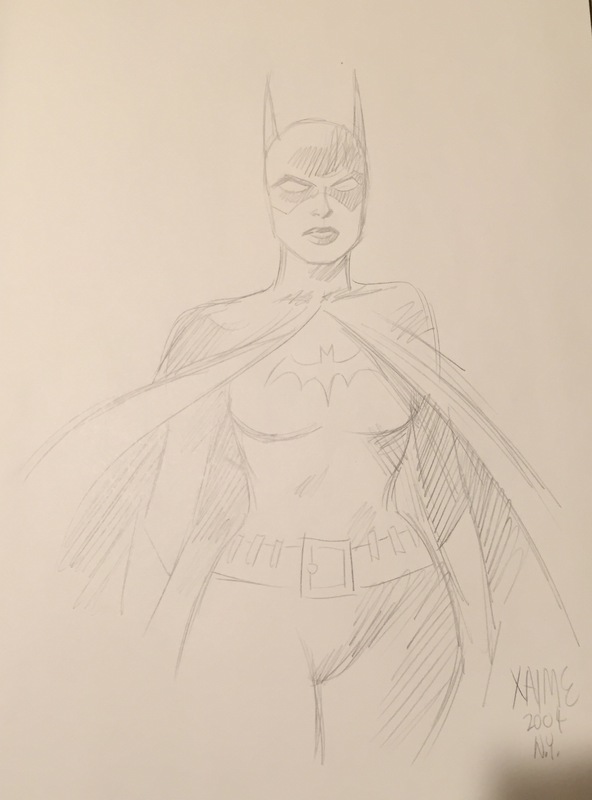 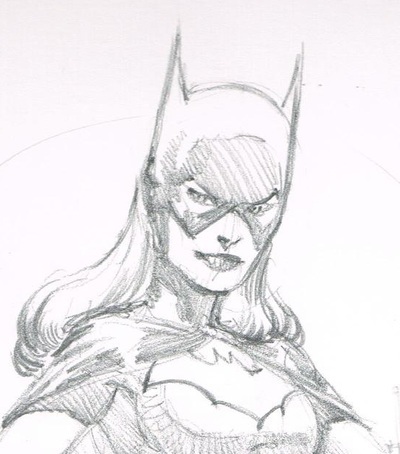 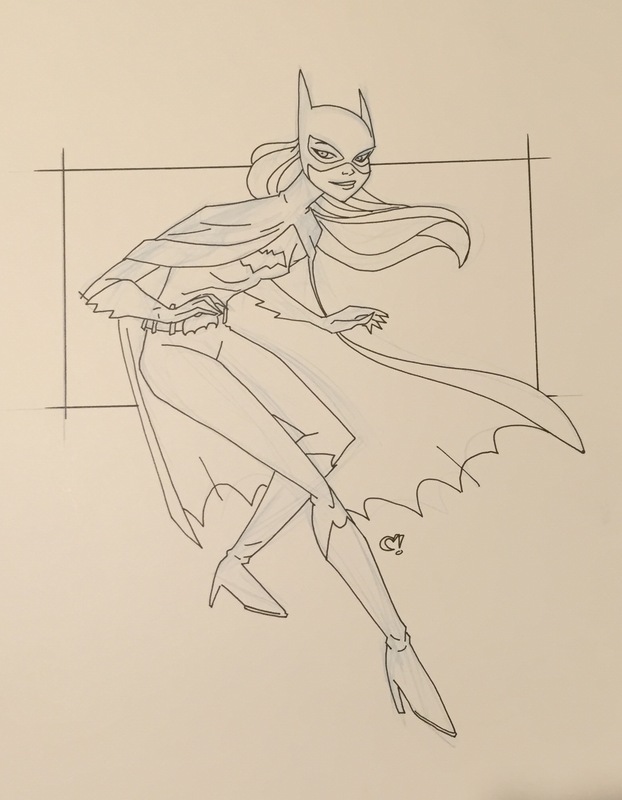 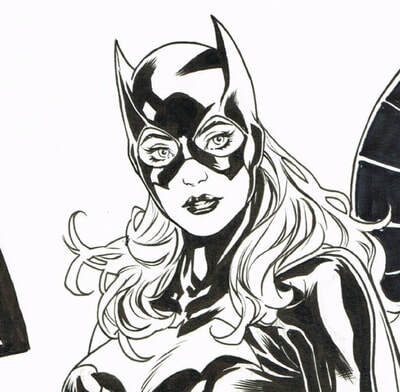 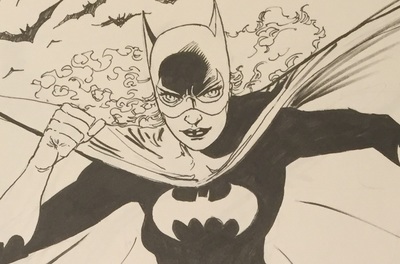 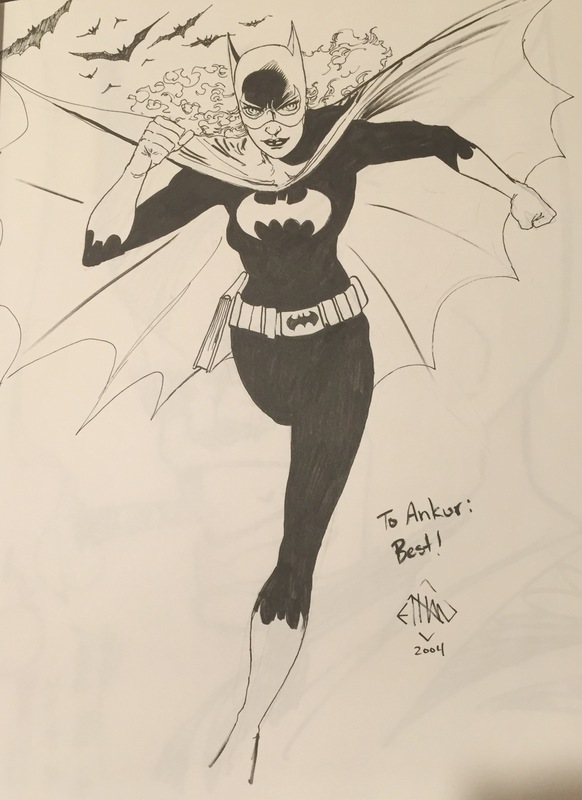 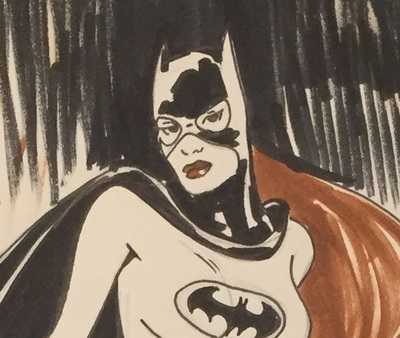 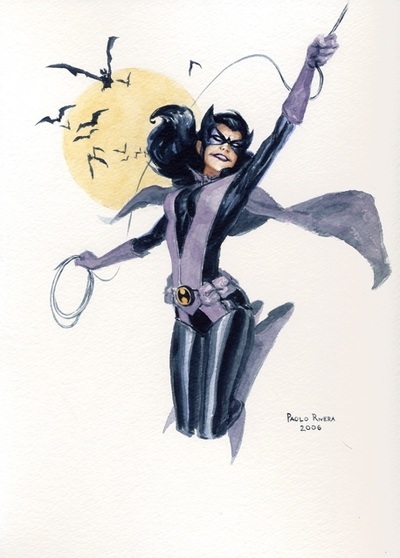 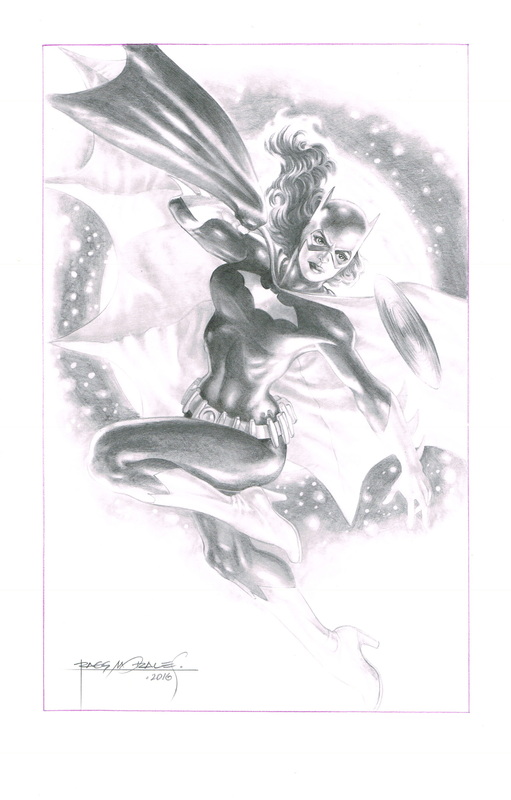 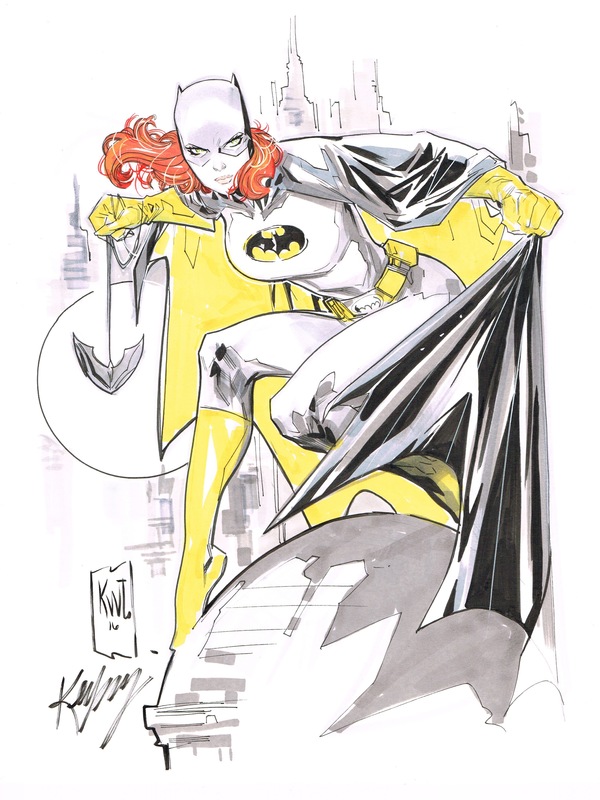 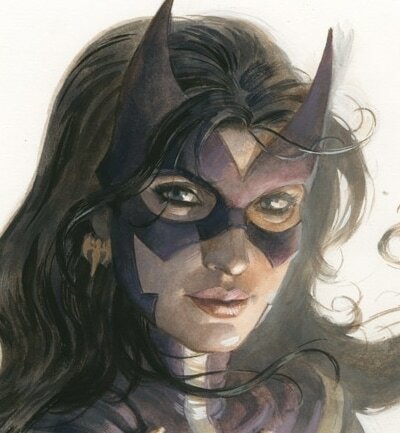 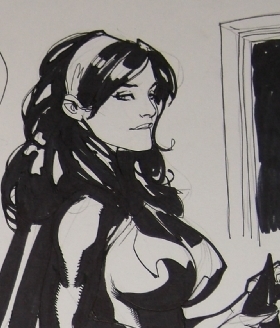 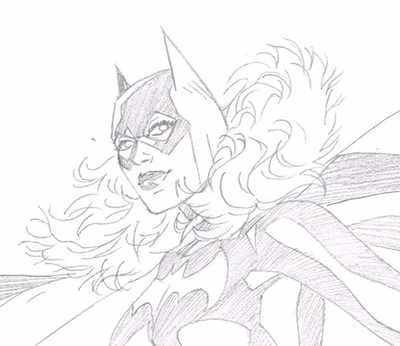 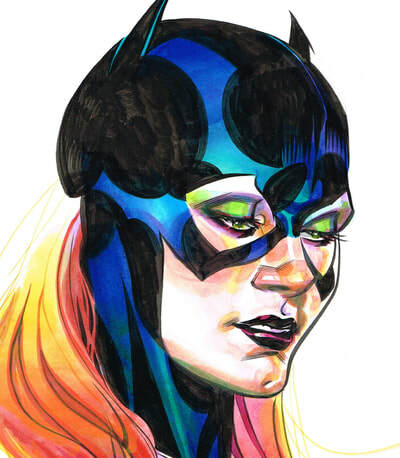 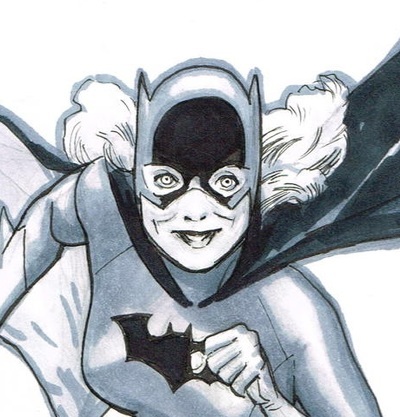 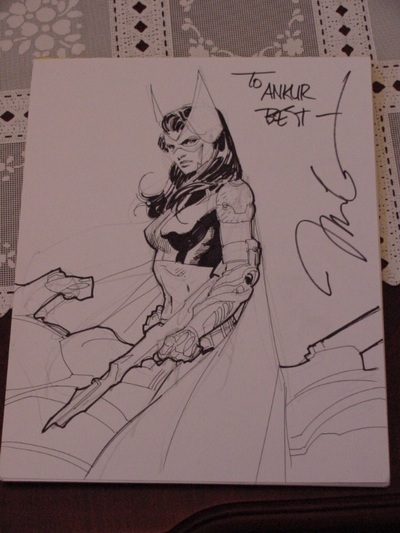 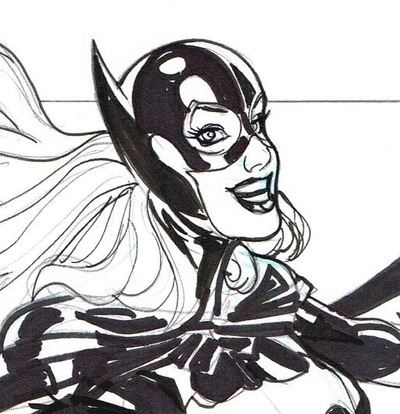 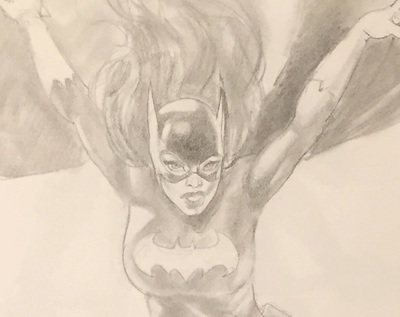 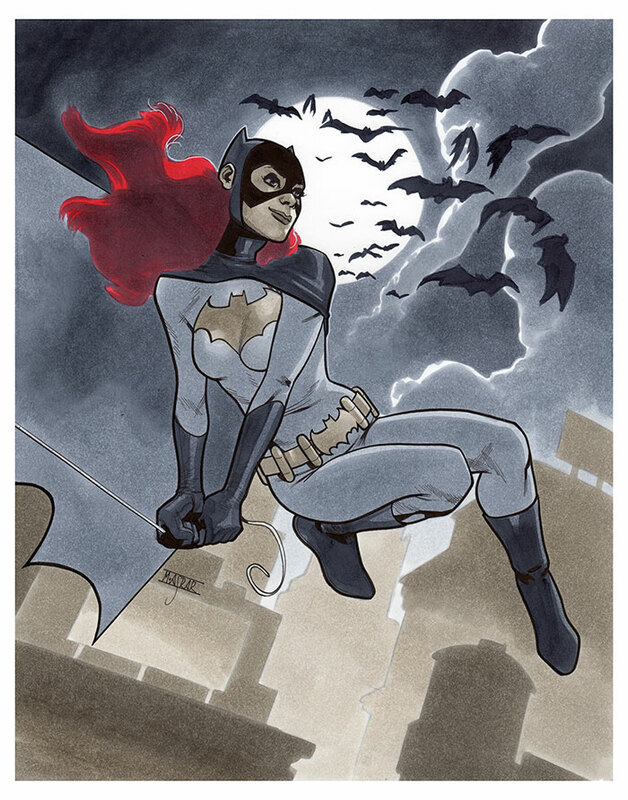 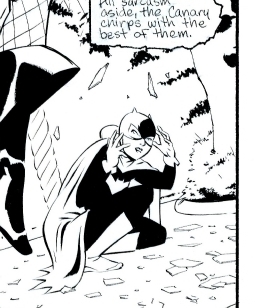 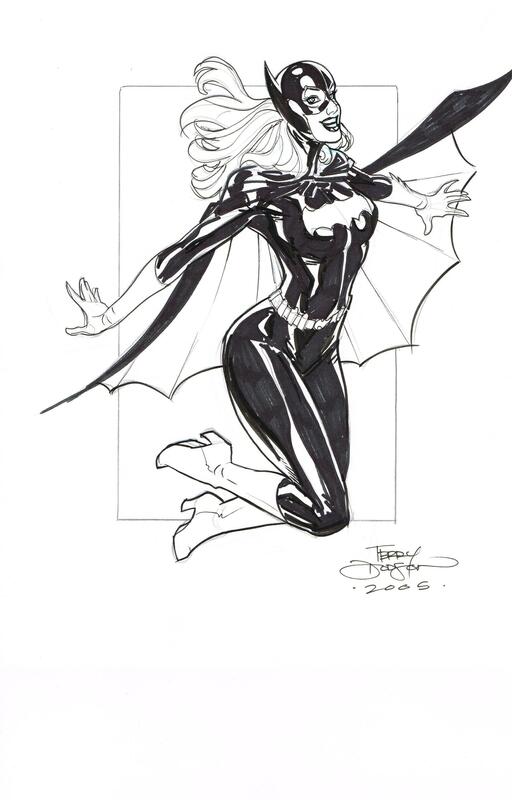 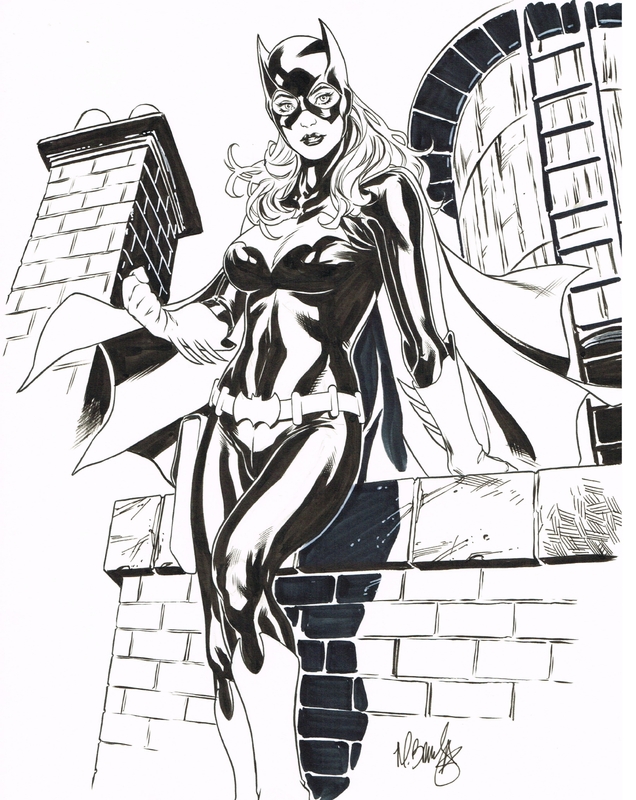 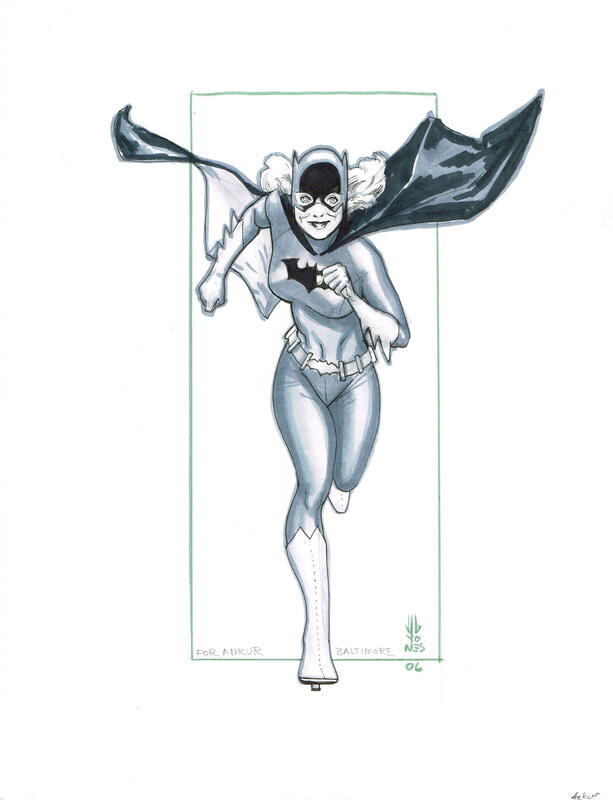 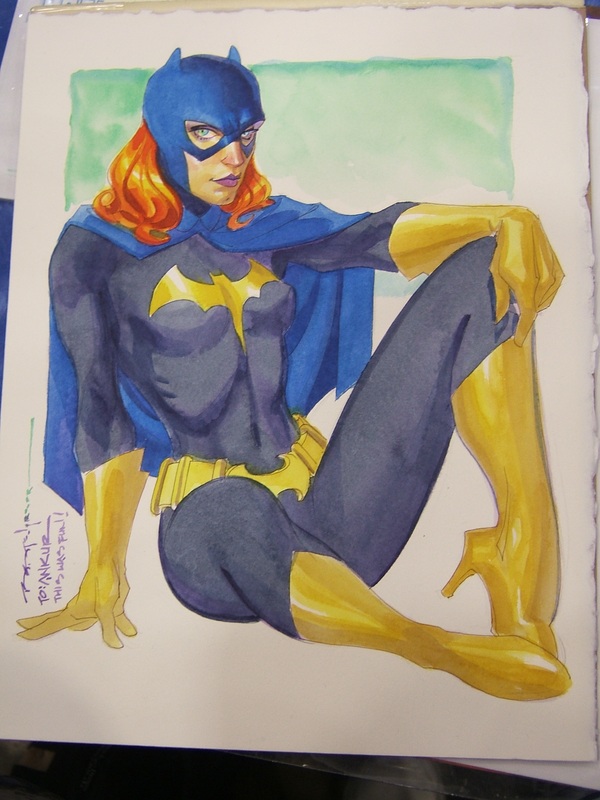 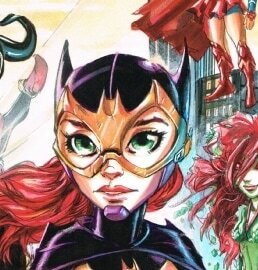 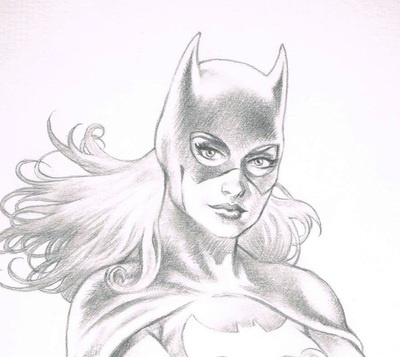 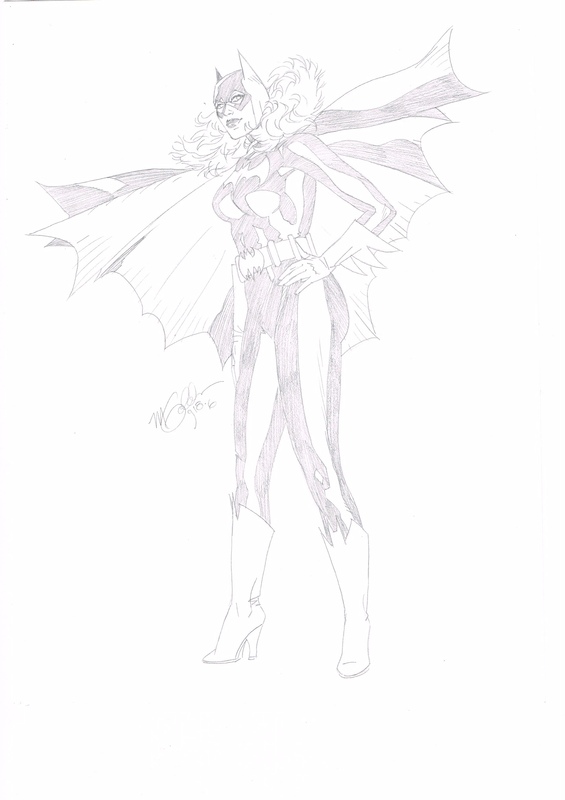 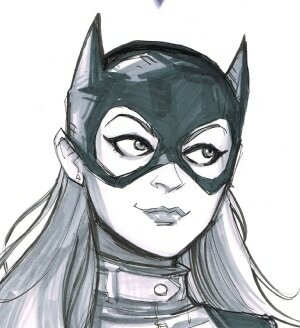 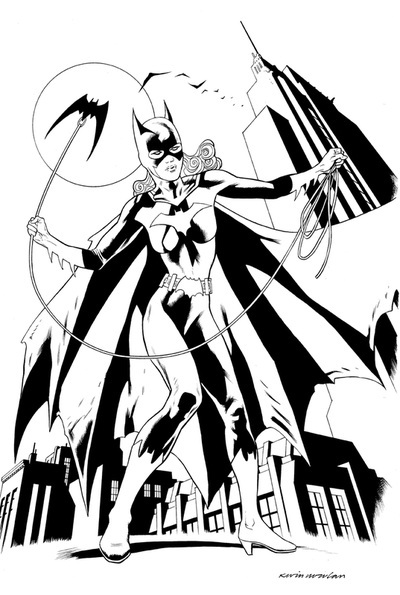 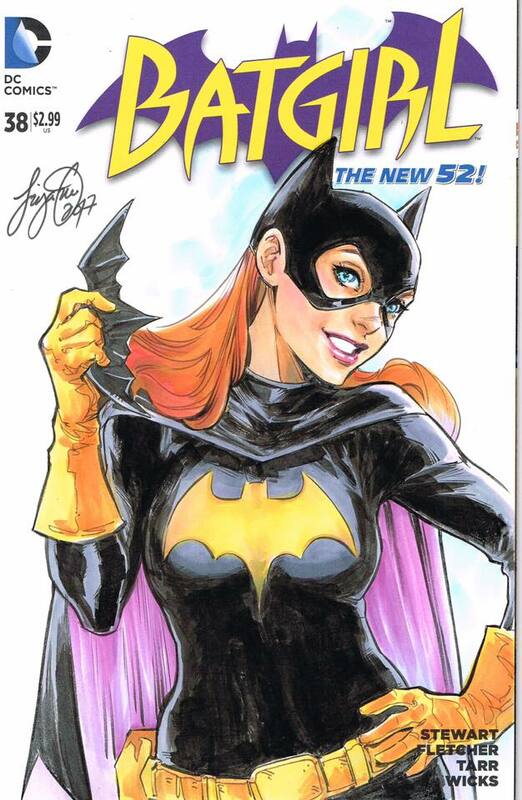 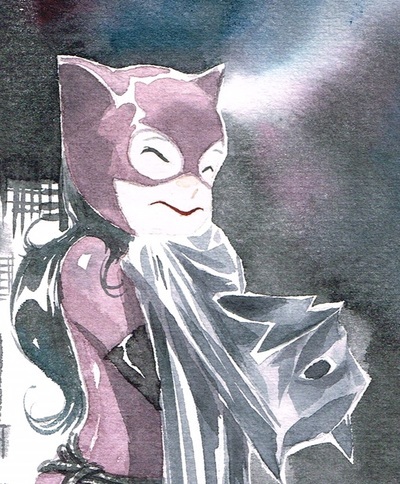 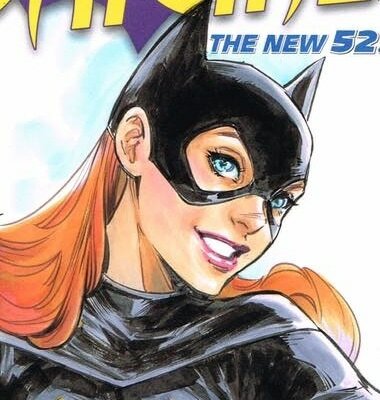 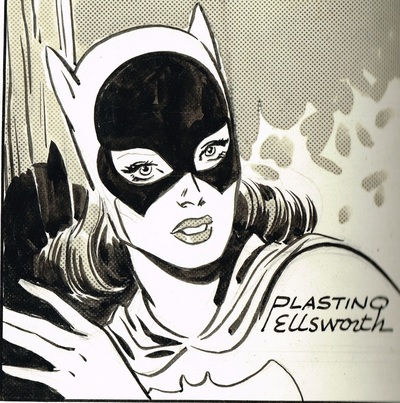 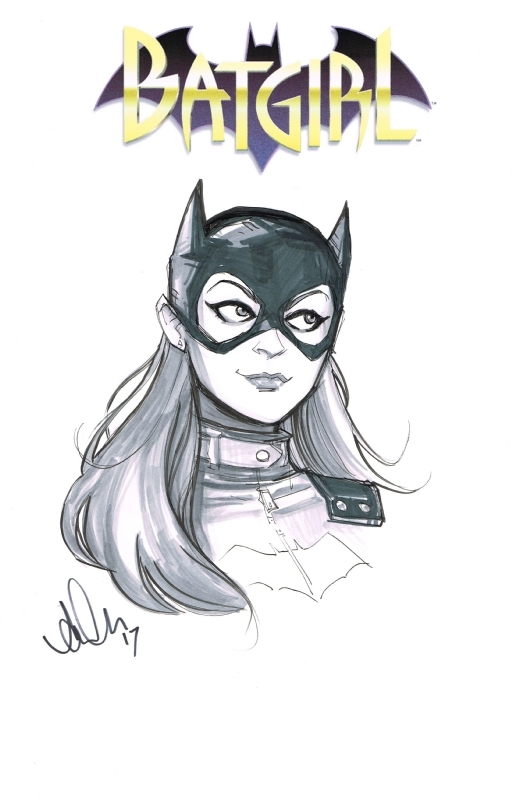 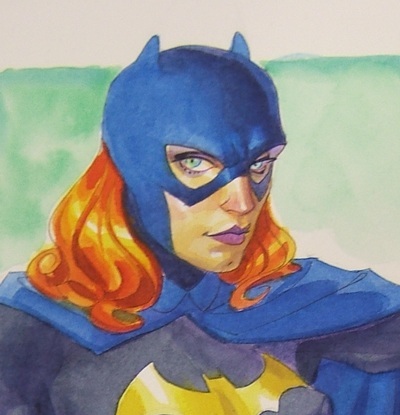 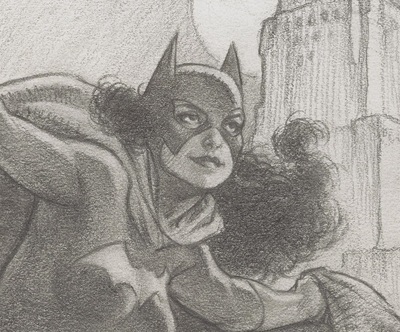 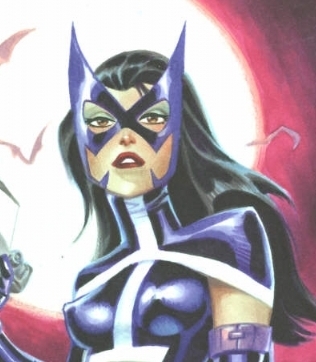 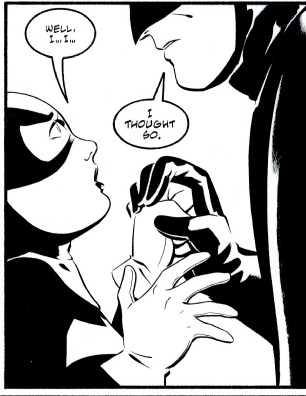 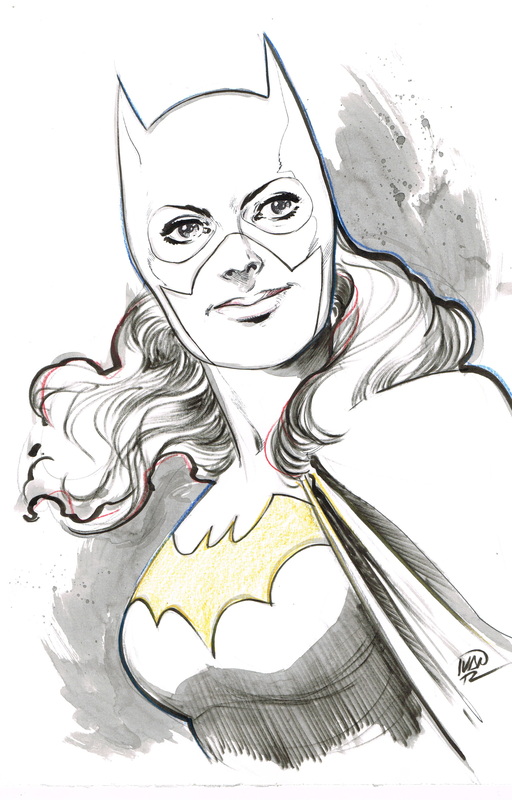 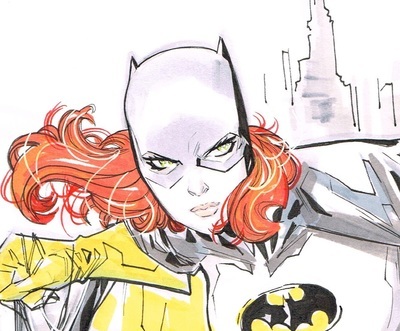 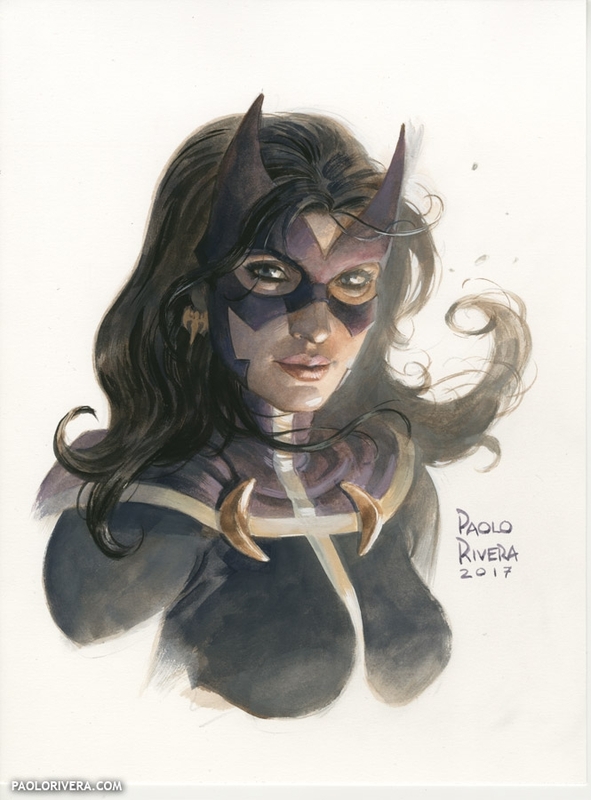 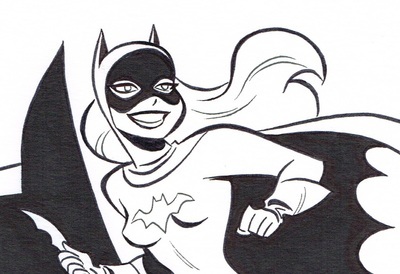 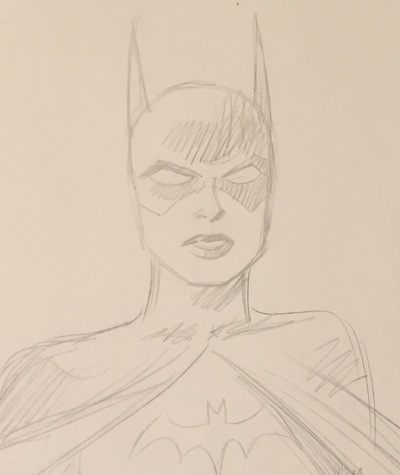 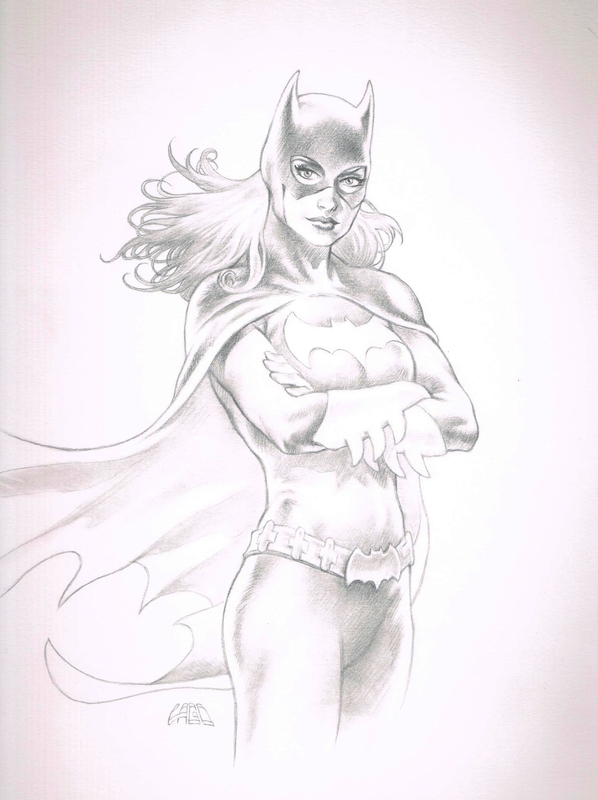 Brandy from Liberty Meadows in a Batgirl Costume by Adam Hughes. 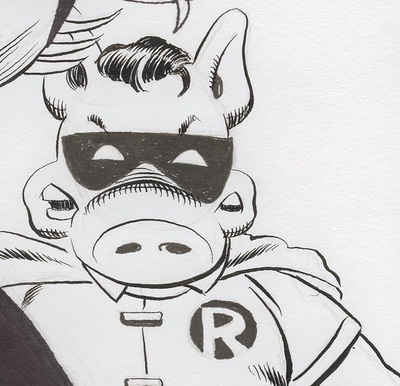 Finished by Frank Cho by adding Dean turning into a pig-wolf! 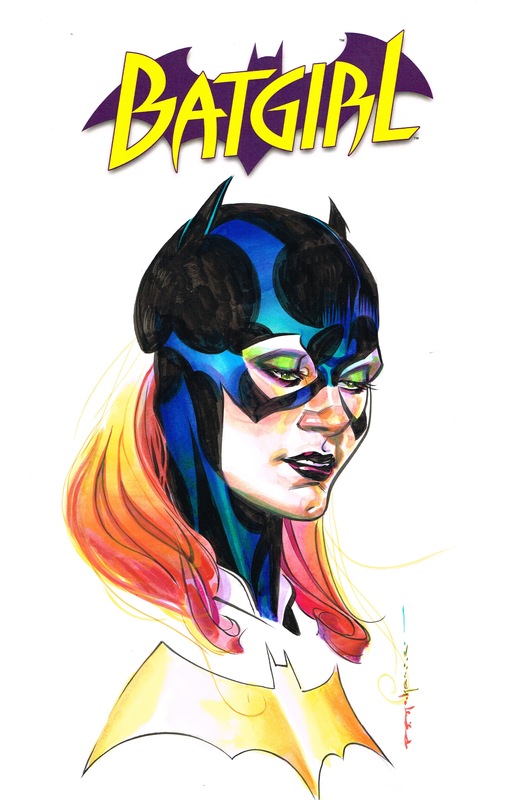 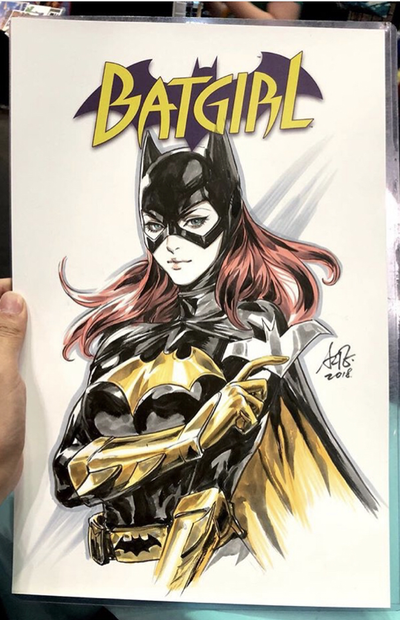 Batgirl and Cere-bin by David Sim! 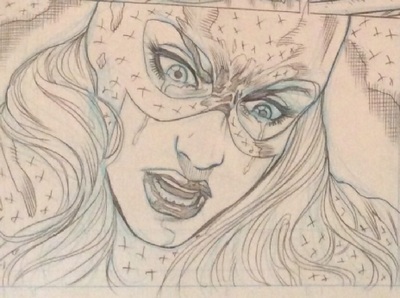 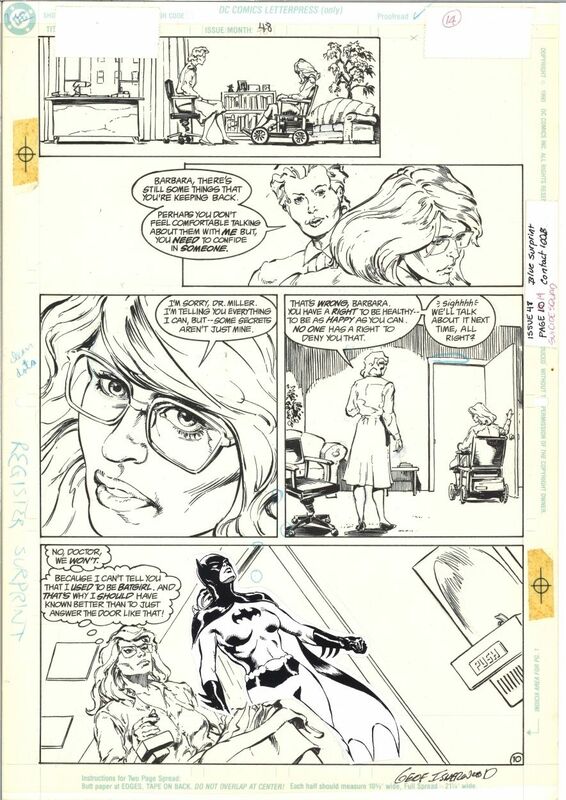 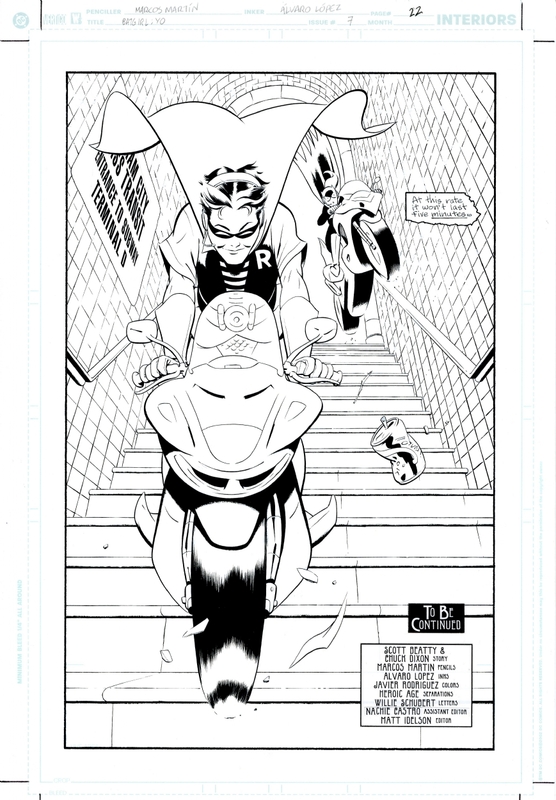 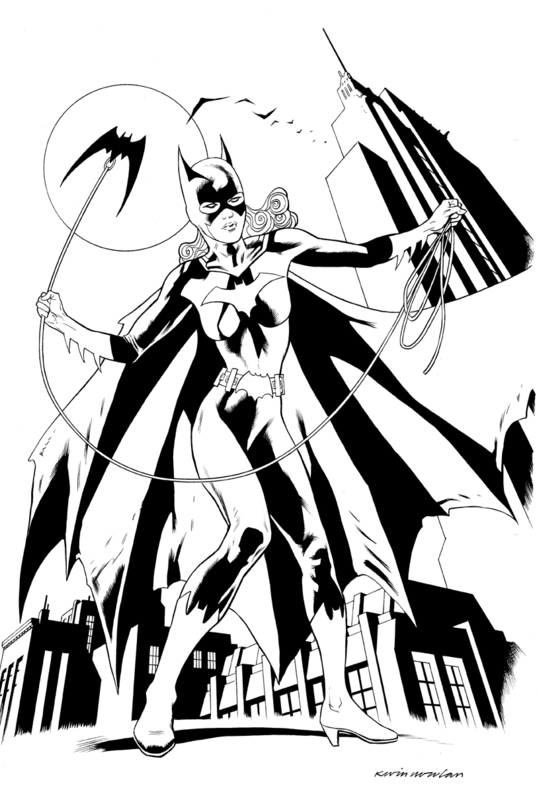 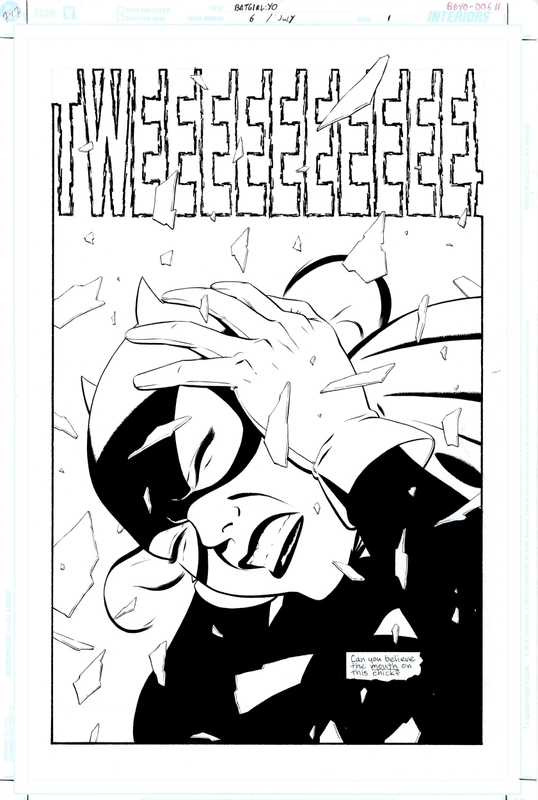 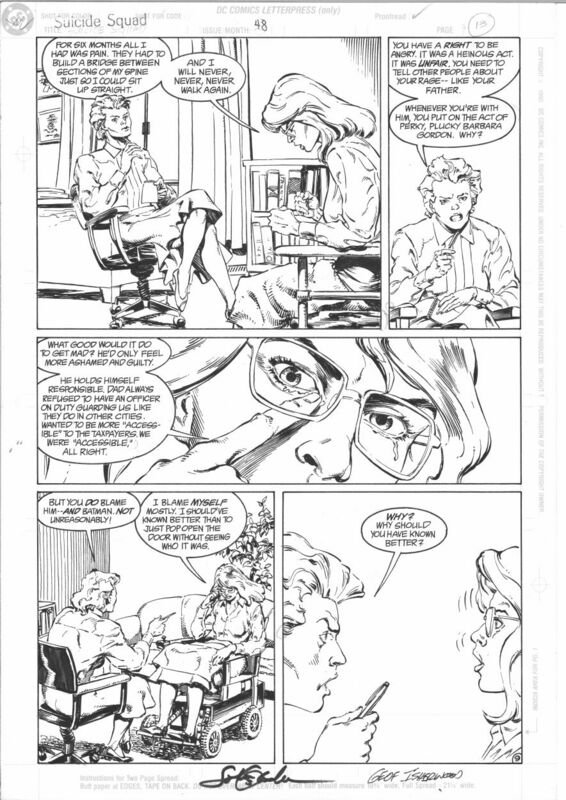 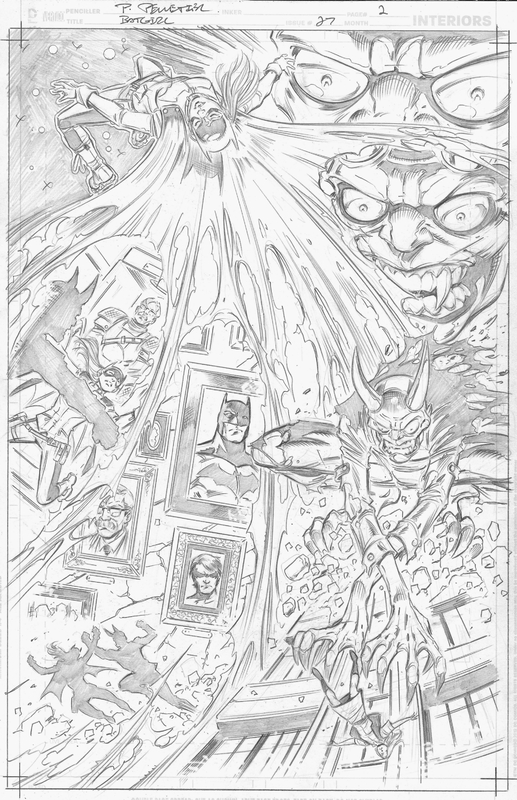 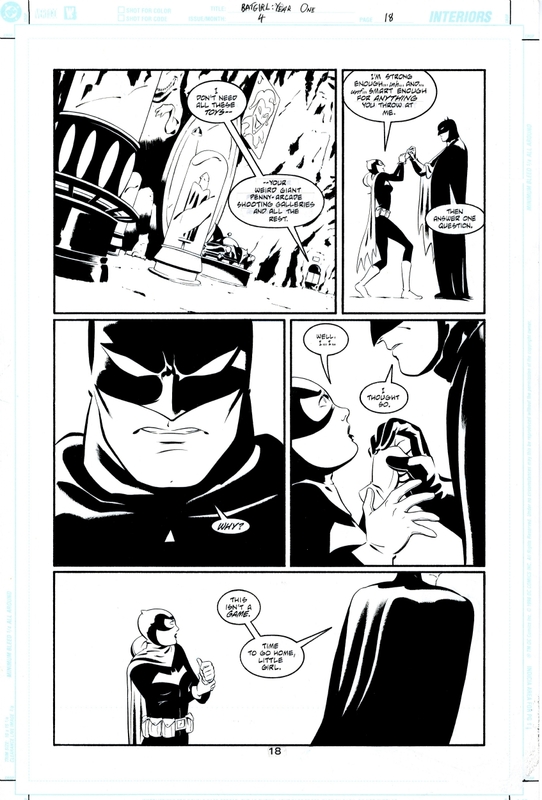 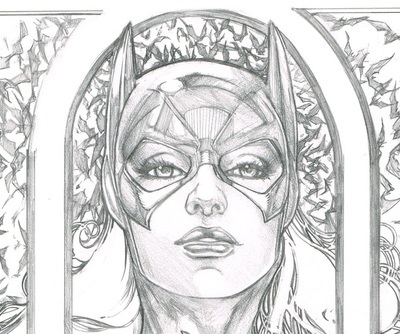 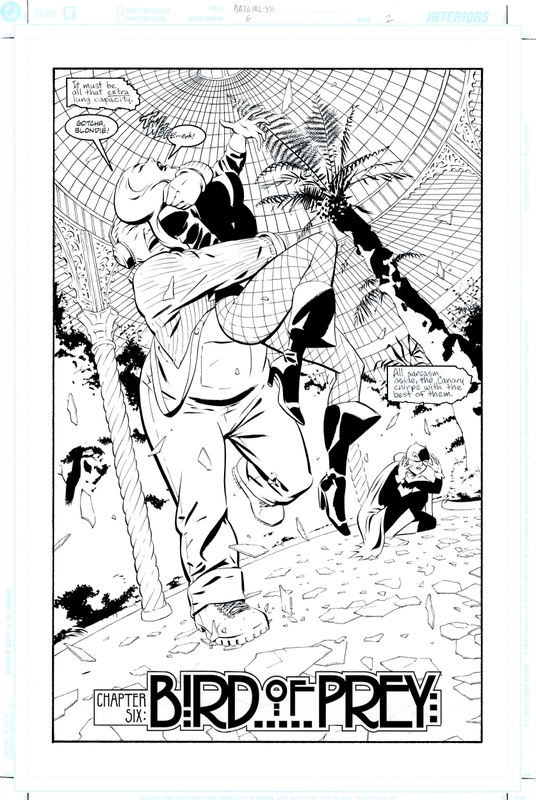 New 52 Batgirl #15 page. 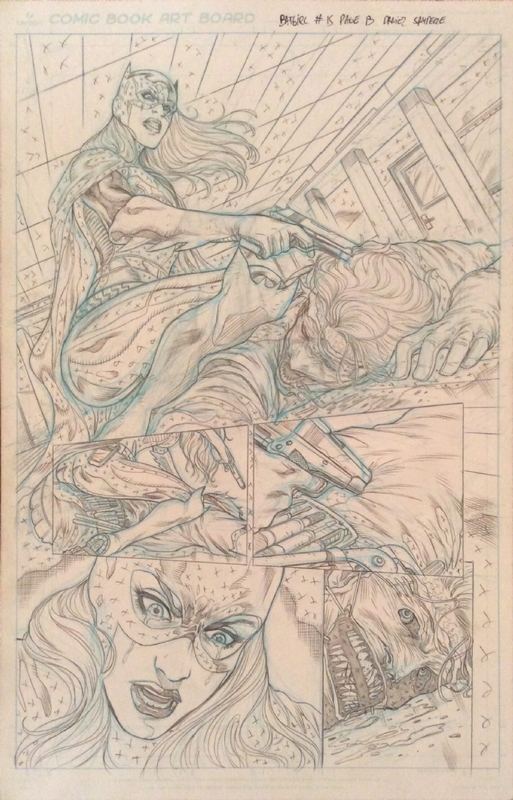 Batgirl vs Joker with a gun to his back! 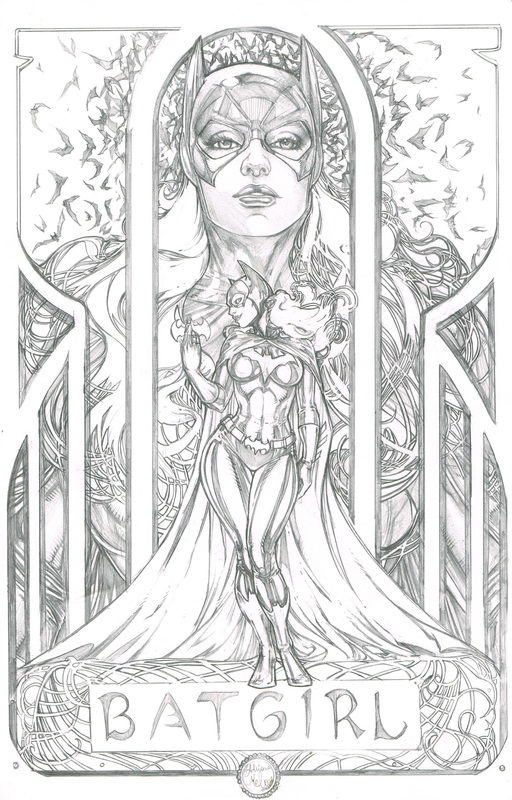 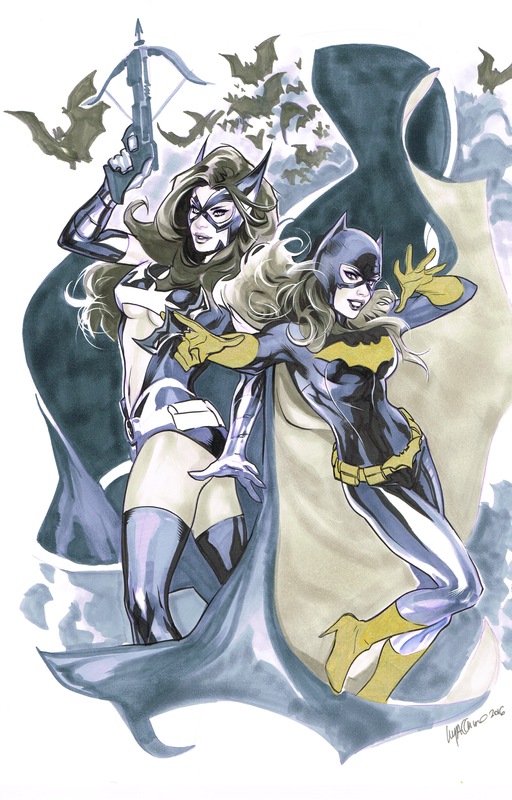 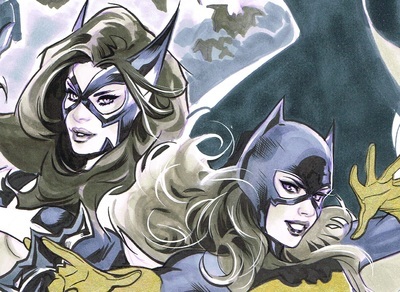 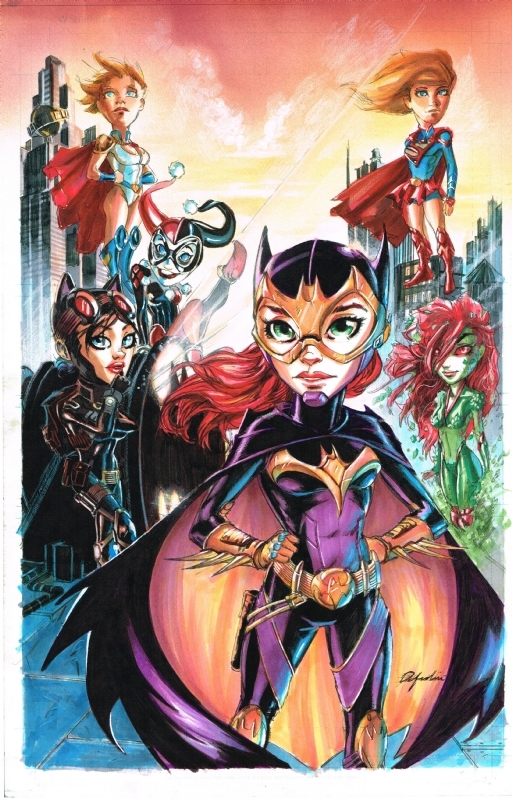 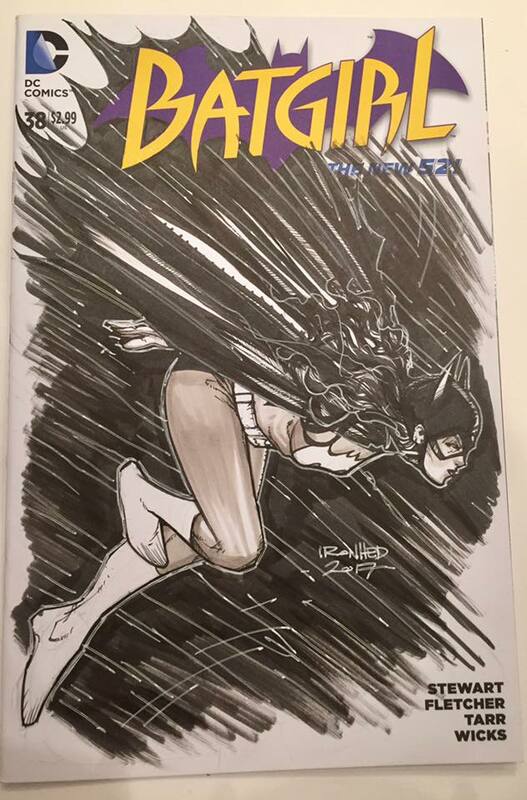 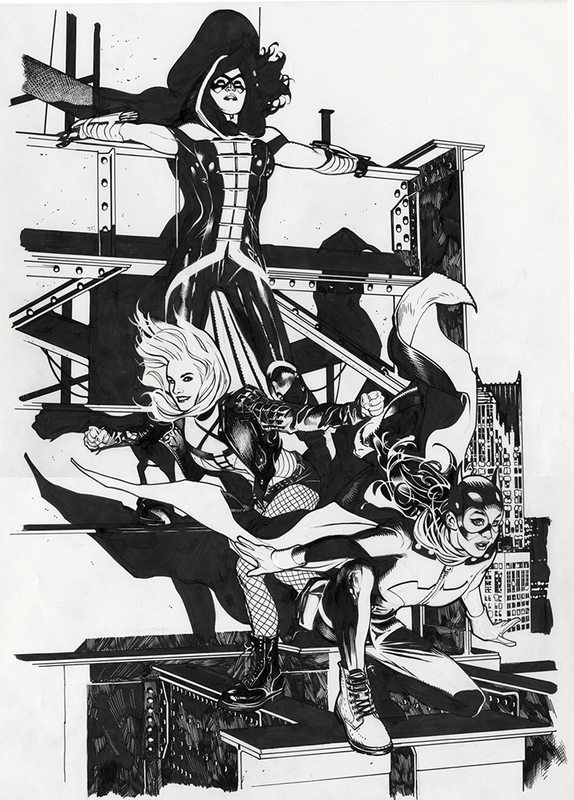 Batgirl & Huntress by Lupacchino! 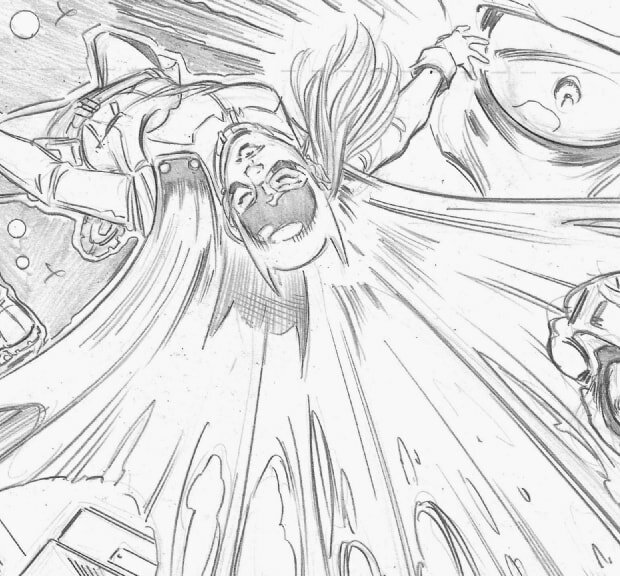 Suicide Squad 48. 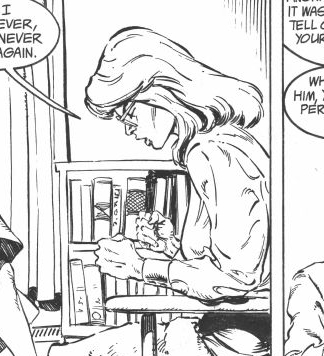 Oracle Accepts her Fate! 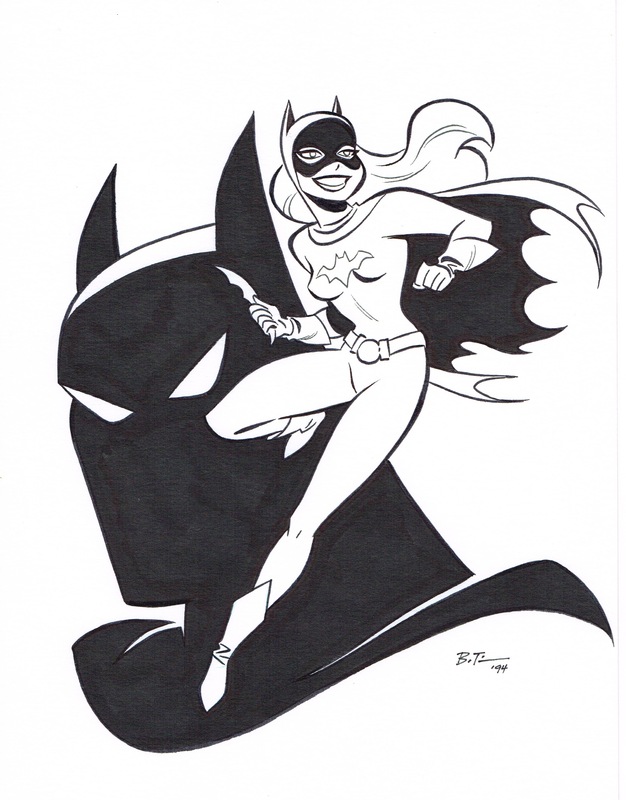 BG Year One Marcos Martin with Robin!